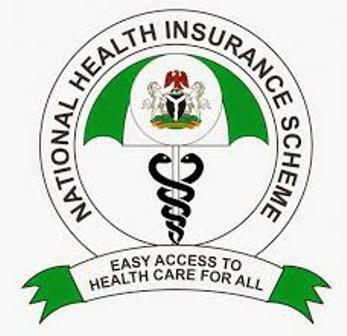 ABUJA – Staff of the Nationonal Health Insurance Scheme, NHIS, today protested against the reinstatement of suspended Executive-Secretary (ES) of the scheme, Prof. Usman Yusuf, by President Muhammadu Buhari. 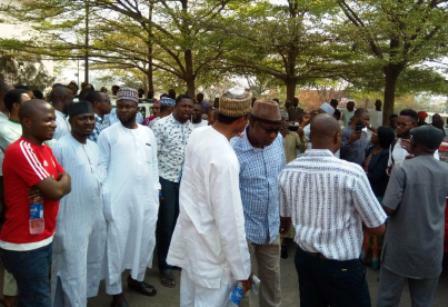 The workers trooped out of their offices from both the annex office of the scheme located in Wuse 2 and at the headquarters in Jabi, Abuja, to “reject” the embattled ES. 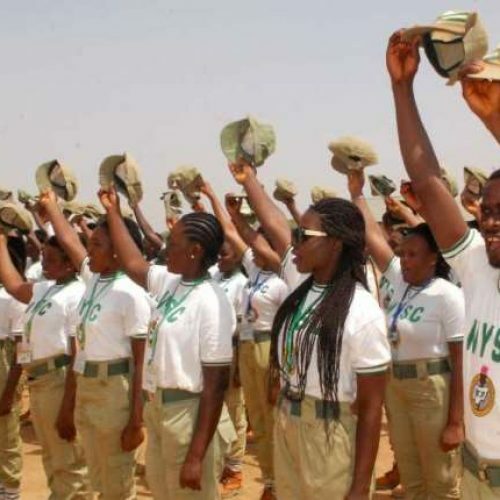 Chairman of the NHIS chapter of Association of Senior Civil Servants of Nigeria, Abdulrazak Omomeji, led the protesters with chants against the Yusuf and the Federal Government. 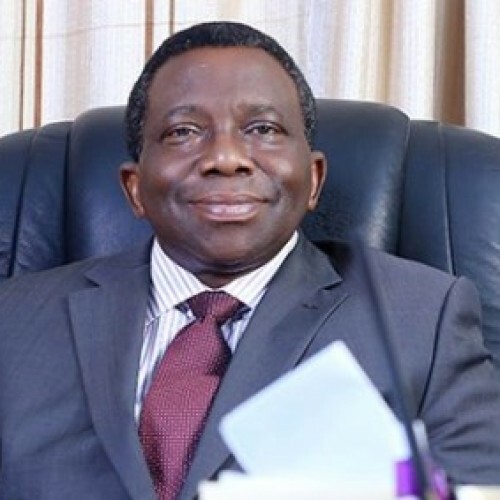 President Muhammadu Buhari had reinstated the ES on Tuesday February 6, exactly six months after he was suspended by the Minister of Health, Prof. Isaac Adewole, over alleged theft of the NHIS fund, nepotism, high-handedness and sheer neglect of Procurement Act among others. He was said to have squirreled about a billion naira within his one year reign at the scheme. The Health Minister set up a panel to probe him, and the panel found him guilty, resulting in his suspension to enable anti-corruption agencies investigate him as recommended by the ministry’s probe panel. The panel had lambasted him for pretending to be pursing anti-corruption campaign in the institution, while “he milked the NHIS dry,” underground. Yusuf’s suspension has been widely condemned by Nigerians, especially the People’s Democracy Party, which claimed the president’s action has further rubbished the anti-corruption posture of the Buhari-led administration. Leader of the NHIS, Omomeji said during the protest: “We want to put it on record that we elected our President, he is a man of integrity. But, whatever is good for the gander is also good for the goose. We are calling on the President that this case of Professor Yusuf Usman needs to be revisited. “The President has not been briefed very well. We know him that when the case of Maina came up, he quickly took necessary action. We are calling on our president Muhammadu Buhari, who we know is a man of honour, he is a man of integrity, he is a man of justice. He should take a second look at the reinstatement of this professor Yusuf Usman. “NHIS is one, we are one family. Immediately this man came, he came on the wheel of ethnicity, he came on the wheel of religiousity. Please, I want to put it on record that as our National President (Association of Senior Civil Servants of Nigeria) they have come up with a press statement, and we stood by that press statement. “Our president needs to revisit this case. Since we know that the case of professor Yusuf is being investigated by the EFCC, please, the president should wait for the outcome of this investigation, if he is not found guilty. This is because we know that he who must come to equity must come with clean hands. Professor Yusuf’s hand is not clean. Please, this Yusuf Usmangate is causing untold hardship on this APC administration. Please, APC is our government, and we want them to maintain the posture of ant-icorruption. He urged the president to reverse the reinstatement, if the government hopes to see peace in the organization. “We have been law-abiding. Never in the history of NHIS have we ever created any problem. 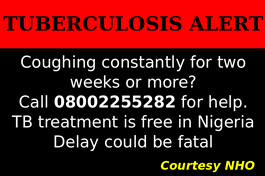 But, from all indications, the government of Prof. Usman Yusuf will cause chaos in the scheme. To maintain industrial harmony, let there be justice. They should allow the man to go and sort himself out with the anti-corruption case he has before he can resume here,” he said. He emphasized that the labour union, especially the Association of Senior Civil Servants of Nigeria, had taken position on the matter, that the recall should be reversed. Meanwhile, the workers exposed how the NHIS had diverted enrollees’ funds into the Treasury Single Account of the Federal Government, and deny them to use the monies for the purpose they were intended. Omomeji (in grey shirt) addressing) the NHIS staff during then protest. He lamented that government reinstated embattled Yusuf the day he was at the Economic and Financial Crimes Commission for probe. “Our offence is that we remitted big money. Somebody came and saw big money and he got intoxicated. That is our offence,” he stated.